The OnePlus 6T McLaren Edition will go on sale for the first time at midnight on Friday. It is the latest additon to the list of special edition smartphones released by OnePlus. The OnePlus 6T McLaren Edition packs a bit more punch than the regular OnePlus 6T, comes covered in McLaren-inspired design elements and with a bigger price tag. The OnePlus 6T McLaren Edition is available in one decked-out variant for Rs 50,999. 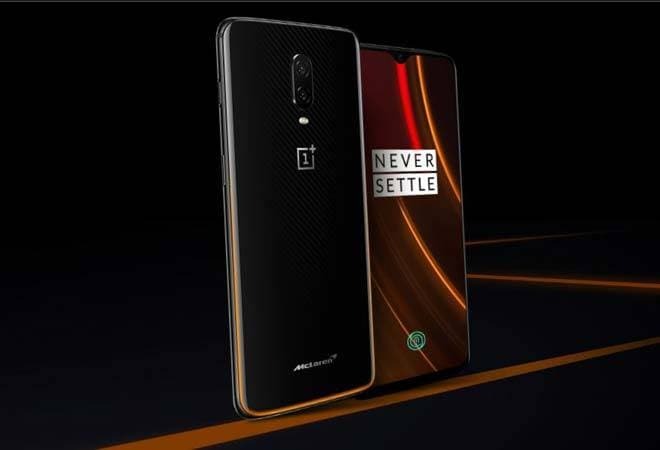 One of the biggest upgrades that comes with OnePlus 6T McLaren Edition is a fast charging technology, which the company is calling Warp 30. As per the claims by OnePlus, the 3,700mAh battery on 6T McLaren Edition could be recharged up to 50 per cent within 20 minutes using this technology, which is good for a day's usage. Another major upgrade for the OnePlus 6T McLaren Edition is its 10GB of RAM coupled with 256GB of internal storage for smoother multi-tasking. The smartphone comes with a carbon fibre back under a layer of glass inspired from the fact that McLaren was the first company to use the same material in Formula One race cars for its lightweight and durability. The edges at back have subtly-placed accents in McLaren's signature Papaya Orange. Apart from these changes, the rest of the spec list remains the same as the regular OnePlus 6T. The McLaren Edition has the Qualcomm Snapdragon 845 processor as its powerhouse along with Adreno 630 GPU. The display is a 6.4-inch AMOLED panel, with a waterdrop notch up top and an under-the-screen fingerprint sensor. It is protected by Corning Gorilla Glass 6. In the optics department, the OnePlus 6T McLaren Edition has a dual camera setup at the back with a 16-megapixel primary sensor and another 20-megapixel sensor. The front snapper comes with a 16-megapixel sensor. The smartphone runs OxygenOS based on Android 9.0 Pie. The OnePlus 6T McLaren will be sold exclusively through Amazon India, OnePlus India website and OnePlus exclusive offline stores. Also, as part of the OnePlus fifth anniversary celebrations, the device will come with instant discount up to Rs 2,000 on using Axis Bank credit or debit cards. Buyers can also avail additional discount up to Rs 3,000 under the exchange offer, as well as no cost EMIs.